NovaThreads. A Nonsurgical Face Lift Has Arrived at Precision Skin Institute! In the interest of offering our clients the best in nonsurgical dermatologic procedures in Florida, we are proud to debut the latest tool in our skin beautifying tool box. This cutting-edge new way to perform a lift of the skin without surgery, is all the rage for those looking for a less invasive alternative to a face lift. Imagine – a face lift without the surgery! NovaThreads are absolvable skin sutures that are used for skin tightening on the face, neck, or even on parts of the body that could use a little pick-me-up. The NovaThreads are needles that are pre-loaded with a PDO thread. These PDO threads, as they’re called, are new to the United States but have been used by other countries for years when it comes to aesthetics. We very simply insert the whole needle in the interstitial tissue at subdermal level, and the PDO thread remains under the skin. Even better, is that a NovaThreads procedure can be performed in our office in just one visit, with minimal pain. No downtime, no discomfort, and no debating whether or not to undergo a huge surgery! You also won’t have to wait weeks for swelling to subside before being able to admire your tighter, younger-looking skin, either. Results are almost instantaneous – perfect for the for patient looking to attain smoother, tighter-looking skin in time for a special event! A face with healthy, tight skin, has a natural “V-shape”. With the ageing of tissues and the action of gravity, this “V-shape” diminishes, inverts, or more commonly, begins to sag. The idea behind the NovaMesh and the NovaLyft technique is to create a scaffolding technique to support the tissues and keep them in the “V-shape.” Where necessary, the technique serves to delicately lift the tissues and reposition the skin to recreate the “V-shape” where it’s been lost. 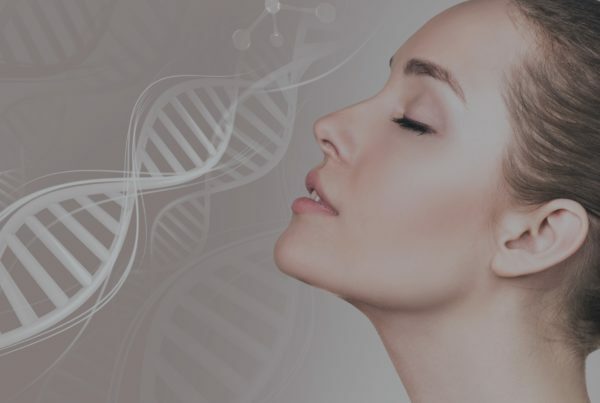 Although NovaThreads can be inserted almost anywhere on the face or body, one area where they are especially effective is the neck and jawline. The lower third of the face, which is bound to succumb to the effects of gravity at one point or another, is challenging to treat effectively with botulinum toxin or injectable fillers. The NovaThread technique is perfect to tighten up this area, with results that are instant and long lasting. Nova Smooth: designed for treating fine lines and wrinkles, areas of crepe-like skin, and textural imperfections such as acne scars. Nova Twist: designed for the improvement of deeper creases and folds, particularly in areas that are challenging to use fillers such as upper and lower lip lines caused by smoking, frown lines between the eyebrows, and descending crow’s feet. If you are interested in any of the NovaThreads procedures or have more questions on how this new alternative face lift could be of benefit to your skin, visit us for a consultation today! Precision Skin Institute, a leading surgical, cosmetic, and medical dermatology center in Davie serves to keep you happy, healthy, and in great hands!